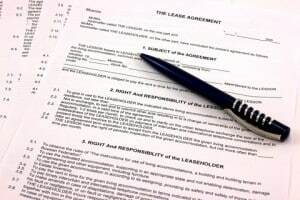 In a recent post in an advice column, a landlord details the problems he is having interpreting his lease agreement. While the landlord believed that the lease created a non-refundable pet deposit, the confusing language appears to do just the opposite. The result? A tenant dispute that could wind up in small claims court. The controversial language in this particular lease reads “Tenant shall pay…a pet deposit… $0 of which shall be non-refundable.” The lease also limits deposit deductions strictly to carpet cleaning expenses. In many states, non-refundable fees are illegal. Anywhere a fee is described as a “deposit” there will be a presumption that the funds are returnable. Unfortunately, this is not an uncommon problem for landlords. A lot of time passes between the tenant’s move in and move out dates. The lease sits in a file, while the landlord and tenant work through issues day-to-day. The landlord remembers that the lease says one thing, but the tenant scours the provisions and finds that the lease says something else. Working with a lease form that does not provide the protections a landlord needs is a glaring omission. Because the landlord provides the lease language, judges tend to interpret any ambiguity in favor of the tenant. Not a good position to be in if a tenant wants to go to court. The columnist’s excellent advice: Be careful where you find your rental forms. Read your entire lease and make sure you understand what’s in it. And, spend the money to work with a lawyer familiar with local rental ordinances.